Great Forest is a proud supporter of Pure Earth, a nonprofit that works to clean up some of the world’s worst polluted communities. Our blog features regular stories about their work is Making A Difference. Recycling is a great thing. But it has to be done properly. When improperly processed, e-waste can pollute and poison communities. This has been well documented in Agbogbloshie, Ghana, where many people make a living by burning e-waste to extract valuable metals within. 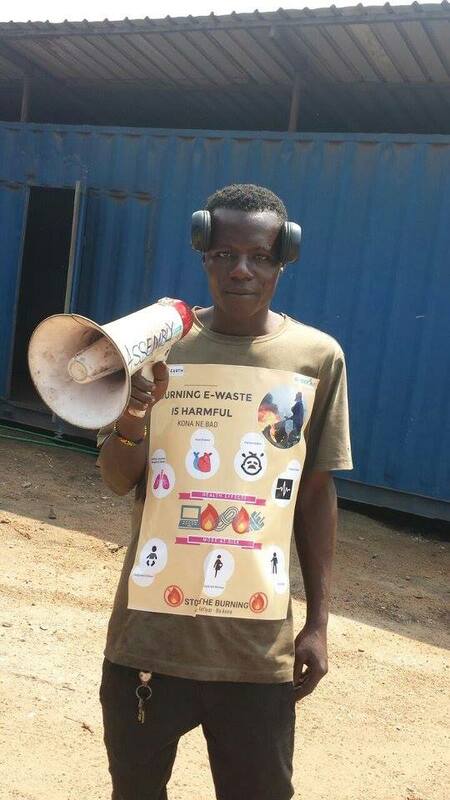 In 2014, the nonprofit Pure Earth set up an e-waste recycling center in Agbogbloshie in an attempt to stop the burning. Recently, a new recycling machine was added to the center and the local team spent a day walking around the community, talking to local e-waste dealers and recyclers about how they can recycle e-waste safely. 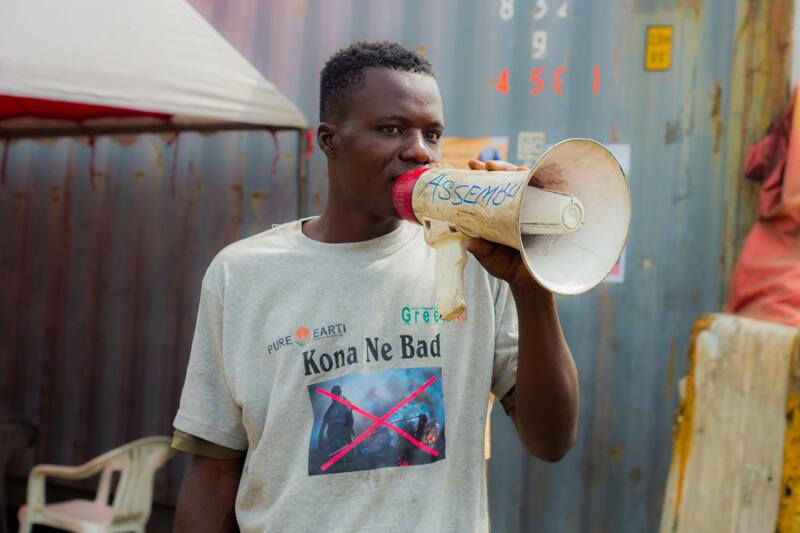 “Kona Ne Bad” or “Burning Is Bad” –- that was the message splashed across tee-shirts and posters, and shouted out through megaphones by the Pure Earth team, who also distributed over 100 posters and flyers printed in English, Hausa and Dagbani. This member of the team below turned himself into a walking, talking billboard to get the message out. This message is so important because today, e-waste is the fastest growing waste stream, and much of it is still being illegally dumped overseas rather than properly recycled. Agbogbloshie is the location of one of the world’s best-known e-waste dump sites. Some reports estimate that the amount of e-waste flowing into Ghana could double by 2020. But Agbogbloshie is not the only e-waste dump site. 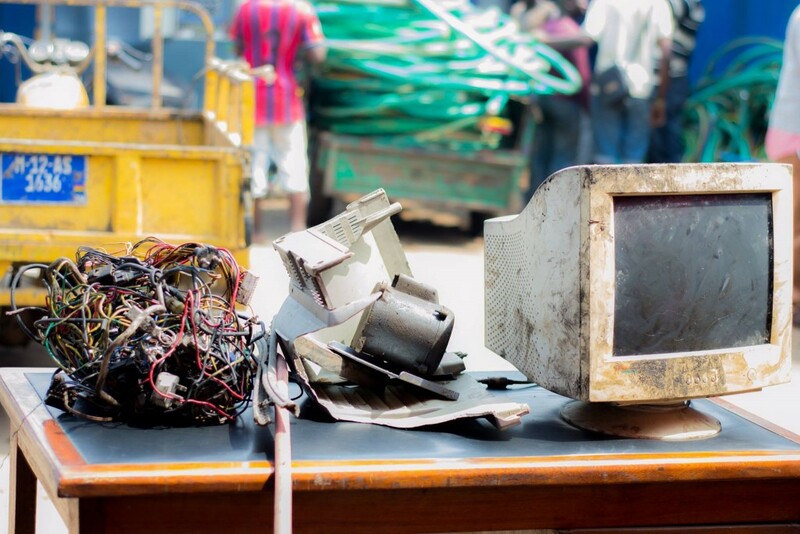 An investigation earlier this year tracked one-third of e-waste from the U.S. to countries such as Mexico, Taiwan, China, Pakistan, Thailand, Dominican Republic, Canada and Kenya, and most often, Hong Kong. Reuse – Get your business to rethink the idea of “waste” and to adopt a zero waste mindset. Repair – When purchasing new equipment, make sure to factor in proper maintenance, regular servicing and repairs with the vendor. This will ensure that your electronics last longer and function more efficiently throughout their lifespan. GPS Tracks America’s E-Waste HalfWay Across The World; What Can You Do?